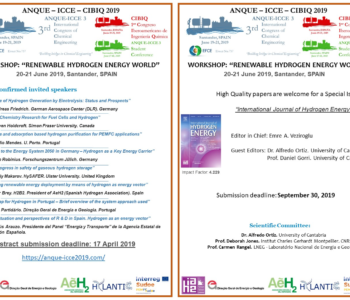 It is a pleaure to announce the Workshop “Renewable Hydrogen Energy World”, that will take place on June 20-21, 2019 in Santander (Cantabria, Spain), during the celebration of the 3rd International Congress of Chemical Engineering ANQUE – ICCE 3. 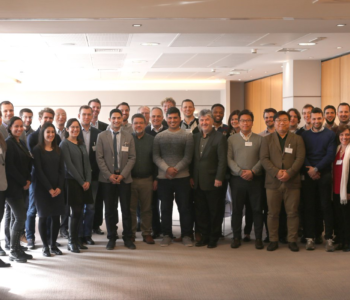 As part of the activities of the European Project “EAPA_204/2016 – “Atlantic Network for Renewable Generation and Supply of Hydrogen to Promote High Energy Efficiency””, the workshop has been organized by the Scientific Committe chaired by Prof. Alfredo Ortiz (Universidad de Cantabria, Spain), Prof. Deborah Jones (Institut Charles Gerhardt Montpellier, CNRS) and Prof. Carmen Rangel (LNEG – Laboratório Nacional de Energia e Geologia, Portugal), with the support of the Spanish Hydrogen Association AeH2 and the Direção Geral de Energia e Geologia (Portugal). Prof. Jesús Arauzo. Presidente del Panel “Energía y Transporte” de la Agencia Estatal de Investigación Española. Due to the number of requests received, the abstract submission deadline for the “ANQUE – ICCE – CIBIQ 2019” has been extended to 17 April 2019. High Quality papers are welcome for a Special Issue in International Journal of Hydrogen Energy. 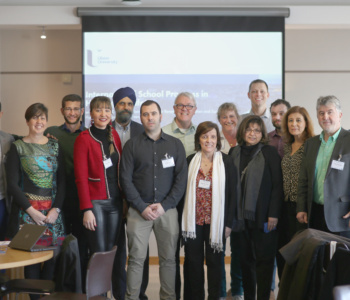 The third follow-up meeting of the European Project “Atlantic Network for Renewable Generation and Supply of Hydrogen to promote high energy efficiencya – HYLANTIC”was held in Belfast on March 15th, 2019 and it was hosted by the project partners from Ulster University. During the meeting the partners from the different institutions of the Atlantic Area presented their progresses in the project and discuss about the future actions to be done before next meeting that will take place in Bristol in October 2019. Auriga Energy has performed tests of the AurigaGen FL Prototype fuel cell unit powering a pallet truck. Here you can read the press release on the successful integration and testing. You can view a video of part of the test here. 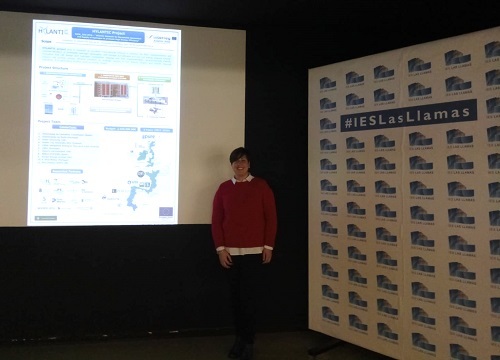 On February 11th and 12th, 2019, Dr. Gema Pérez, member of the University of Cantabria team of HYLANTIC Project, visited the secondary school “Las Llamas”, located in Santander (Cantabria, Spain), in the frame of the celebration of the International Day of Women and Girls in Science. During the visits, she talked about the role of a chemical engineering and explained to the secondary students the main objectives of HYLANTIC Project. She highlighted the importance of working with researchers from different countries and different knowledge areas. V. Molkov, M. Dadashzadeh, D. Makarov, researchers from Ulster University have recently published the work “Physical model of on board hydrogen storage tank thermal behaviour during fuelling”, in the International Journal of Hydrogen Energy, as a result of their research in the frame of the European Project HYLANTIC.